Thurs Sept 21st is check in day. The day is open to setup and explore the area (and we have a lot to see including Cumberland Falls, Big South Fork scenic Railway, Historic Mill Springs Grist Mill, Mill Springs Civil War Battlefield, Haney’s Appledale Farms, etc.) all within a 5 minute to 45 minute drive of the campground. Friday Sept 22nd is when we have open house scheduled. It’s scheduled from 2:30 to 4:30. Somernites Cruise has a “Meet & Greet” event from 10-2 on Friday at Danny’s Rod Shop. 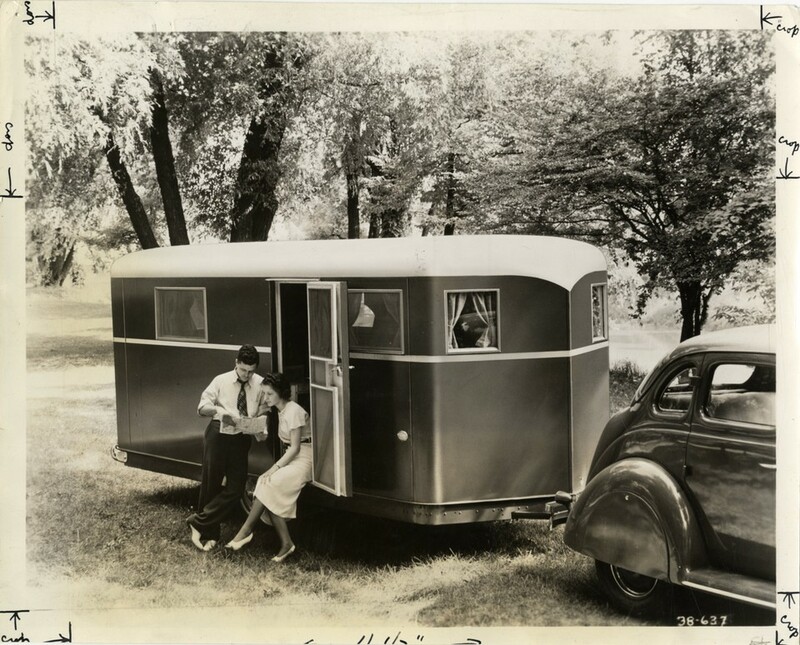 We will gather the classic car owners who want to come visit the open house to meet us their at 2 and we will caravan to the campground to view the campers. We will have special parking for those cars when they arrive at the campground. We will also be promoting the open house to anyone in our community who may want to come see the campers. On Friday night we have a “Friday Night Thunder” block party at the Somerset Mall (about 6-7 miles/10 minutes from the campground). All campers are invited to attend this event if they want to. We usually have 400-500 classic/collector cars and trucks at this event. This event is free. They have live music and inflateables for kids to play on. On Saturday September 23rd is the Somernites Cruise event in historic downtown Somerset (again about 10 minutes from the campground). Gates open at 1:00. We would like to have about 7-10 really nice vintage campers along with vintage tow vehicles to come display downtown (I understand that means they have to break down and set up again downtown). We usually have between 1,200 -1,500 classic/collector cars & trucks and about 10,000 spectators at our September show. We also have the “Heroes4Higher” Batman and Batmobile scheduled to be here. If campers prefer not to attend the Somernites Cruise event and would rather explore the community and other attractions that’s ok too. Again, all Somernites Cruise events are free. The cost of the “Campin’ the Cumberland” Vintage Camper rally is $60 total (3 nights) and that includes an event t-shirt. Most events have a host on site at the campground to oversee everything. We don’t have anyone dedicated to be at the campground 24/7 but I plan to be there as much as possible (we still have a show to put on to). If you know anyone who would like to become an “official host” I’m sure we can do something to help them out (free campsite?? ).